Summer is the height of tomato season. It's the best time to enjoy a big juicy slice of tomato on your sandwich, or a fresh Caprese salad with tangy balsamic vinaigrette. But what about eating tomatoes the rest of the year? Summer is the time to stock up on these red beauties and preserve their perfect taste for later. Here are seven simple ways to save your tomatoes and use them all year round. You don't need a dehydrator to make scrumptious dried tomatoes. 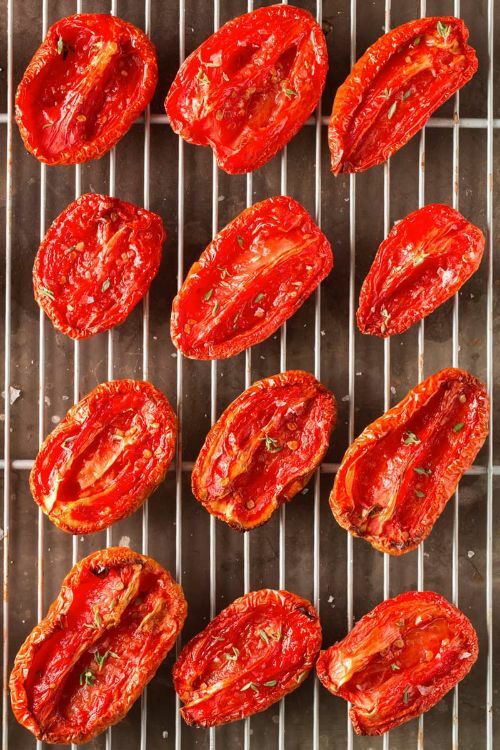 Here's how to dry tomatoes in the oven from The Kitchn. Remove the pulp and core from the tomatoes, then season. Place the seasoned tomatoes directly on the racks and bake at 200°F (93 C) for 4 to 6 hours, or until the edges are shriveled. Cool then store in jars covered with olive oil. These will keep in the refrigerator for 2 months. 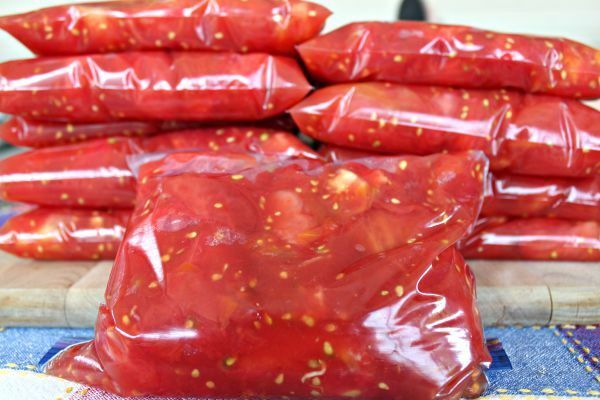 Using quart-sized freezer bags, Mamal Diane stores peeled and quartered tomatoes in the freezer. Her summer harvest won't go to waste, and the smaller bags are perfect for portioning and fit well in a standard freezer. Be sure to remove any air from the bags before freezing. 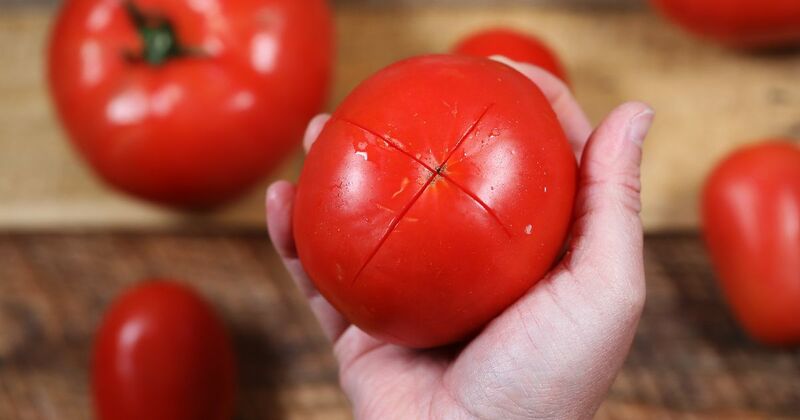 To quickly peel tomatoes, try this easy method shared by Kate on The Domestic Front. Cut an 'x' into the bottom of the tomato, but not too deep. You want to break the skin, but not through the fleshy meat. Submerge it in boiling water for about 20 seconds. Once cooled, you will be able to easily peel the skin away. 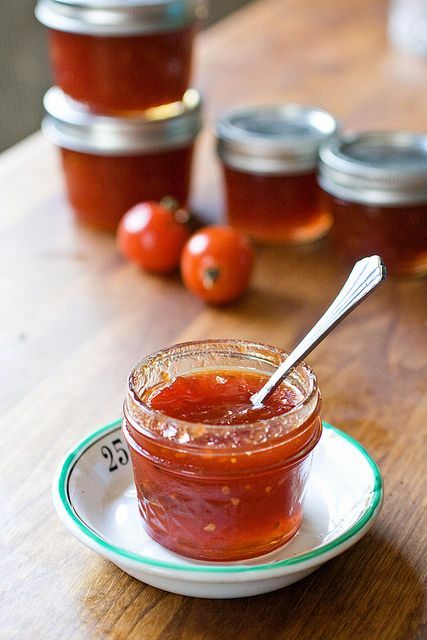 Once peeled, Kate makes delicious jam from her tomatoes. That's right, tomato jam. Using lemon to brighten the flavor, this unique jam is sure to be a breakfast treat. Get the full instructions on The Domestic Front. 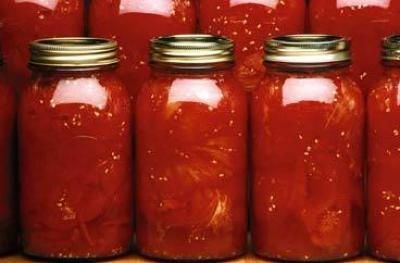 Pass the Cereal says when you use this canning method, "the tomatoes don't get mushy but instead stay as fresh as when you put them in the jars." She places cubed tomatoes in tightly sealed jars, but here's the twist: The jars go into a cool oven (no preheating!) then set the oven to 275°F (135 C) and leave for 75 minutes. Remove and let cool on a rack. You will hear the tell-tale "pop" of the lids as the jars cool. If you have a dehydrator, you probably already use it to make any number of homemade treats. Now you can add tomato chips to your arsenal. Southern Plate shares a recipe for a simple tomato chips seasoned with salt and dried basil. 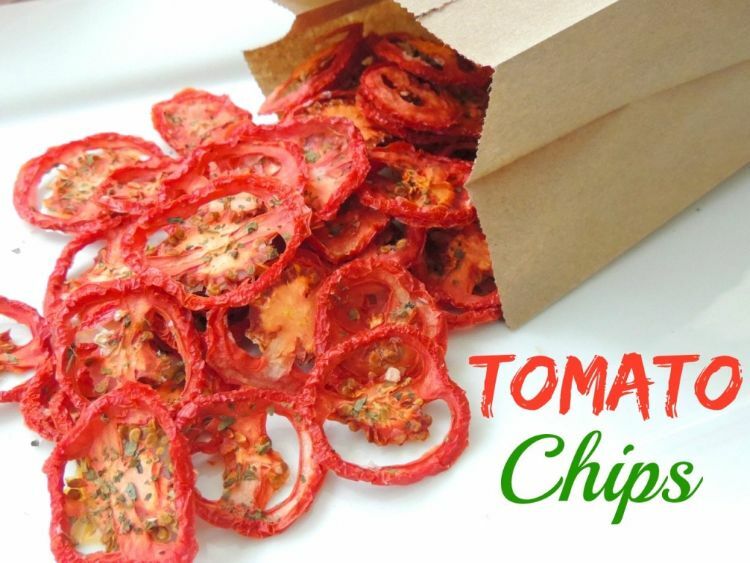 Tomato chips makes a flavorful and healthy alternative to potato chips. Get the full instructions here. 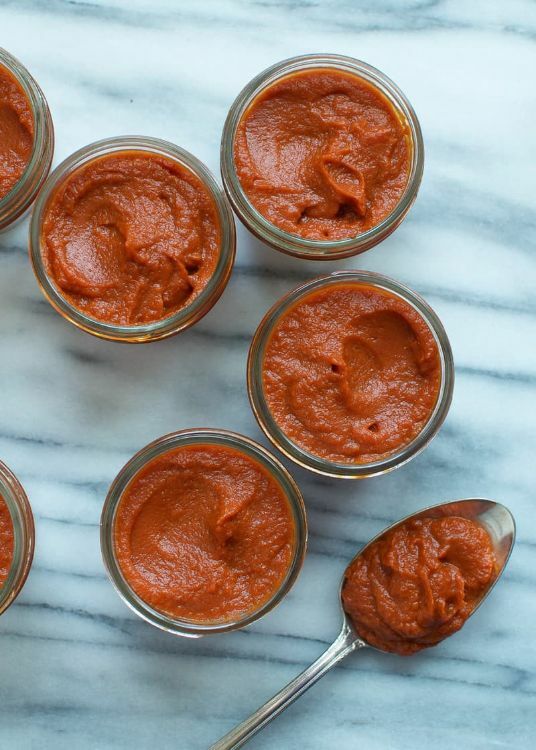 Tomato paste is a staple ingredient in anything from soups to chili. If you are a fan of the rich flavor tomato paste adds to your favorite recipes, try this method for making your own tomato paste from The Kitchn. Though the process of distilling all that flavor into a paste can seem daunting, the fruits of your labor can be jarred or stored in the freezer for up to 9 months - just in time to make your next batch. 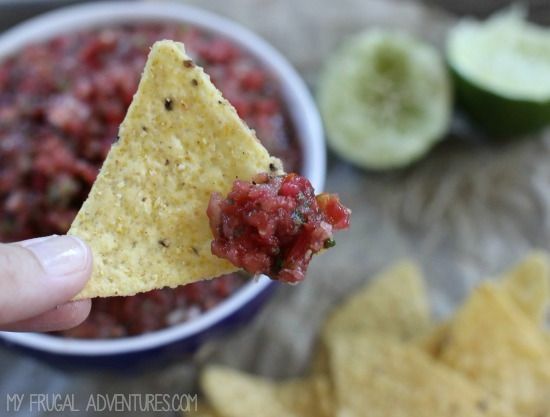 There's nothing better tasting and easier to make than salsa! Try a simple five minute salsa. My Frugal Adventures shares her favorite basic salsa recipe that includes tomato (of course), onion, cilantro, cayenne pepper, serrano pepper, lime, salt and garlic. Put your food processor to task and in no time you'll have fresh salsa. You won't have to worry about any of those tomatoes going to waste in this recipe.